Farmers helped propel Trump to the White House. Their loyalty is being tested by his trade war. In good years, cargo trains moving west along the flat, sweeping grasslands of North Dakota’s plains are a sign of money rolling in. Today, as tariffs from America’s largest foreign soybean market -- China -- threaten to upend the industry, many trains sit idle. In conversations with more than 50 farmers, producers and agriculture experts in five states representing each of the five food groups, one trend was clear: The once-deep ties to President Donald Trump have frayed over the past year. But they remain intact for a small majority of farmers CNN spoke with ahead of the critical 2018 midterm elections. Democrats, who see an opening with Trump’s trade war, will likely struggle to make inroads with these voters. The President gives all of them plenty to complain about. They grumble about his tweeting -- that’s not their style -- and what his trade war has done to their bottom lines. But if the President’s re-election were held tomorrow, most of them would back him. They trust Trump, and many believe Democrats don’t understand or largely ignore their way of life. Still, Trump’s deep support in rural America, which helped propel him to the White House in 2016, is being tested. The wheat farmers, soybean growers and pork producers confront a growing trade war that is forcing them to re-evaluate their ties to the President’s Republican Party and openly question whether his mantra to “Make America Great Again” came at the expense of voters like them. 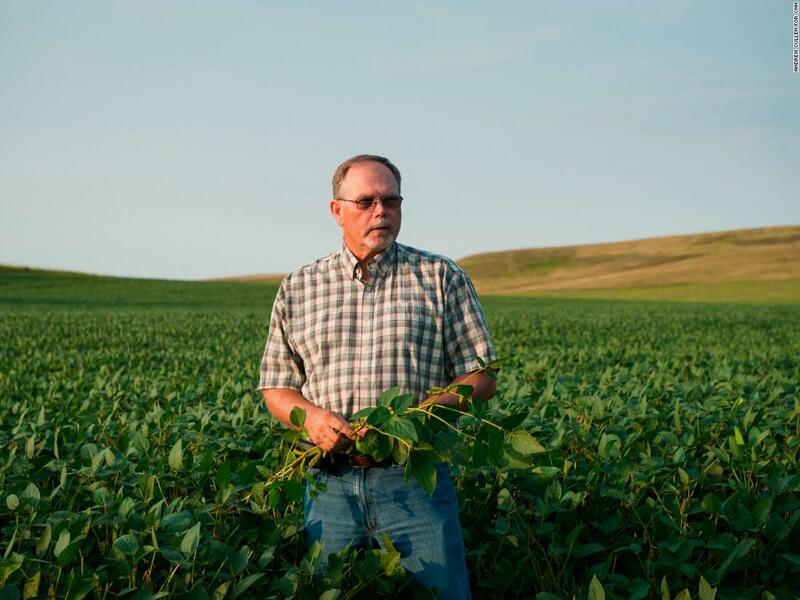 Ericson, a broad-shouldered and blunt soybean grower who voted for Trump in 2016, said the uncertainty in the soybean market has left growers in peril. Trump ran on a pledge to get tough on trade deals, and he has tried to deliver. But actions have reactions, and the President’s decision to impose tariffs on Chinese steel and aluminum has prompted China to impose billions of dollars in counter-tariffs on imports from the United States. Products once destined for China are getting left in the US because they’re now too expensive, flooding the domestic market with soybeans, pork and other products and in turn driving down prices for farmers. These men and women, who pride themselves on their ability to make a living off the land, see the trade war that is hurting their bottom lines as a referendum on their toughness. I don’t think the Chinese have any clue the staying power that the heartland of this country has. 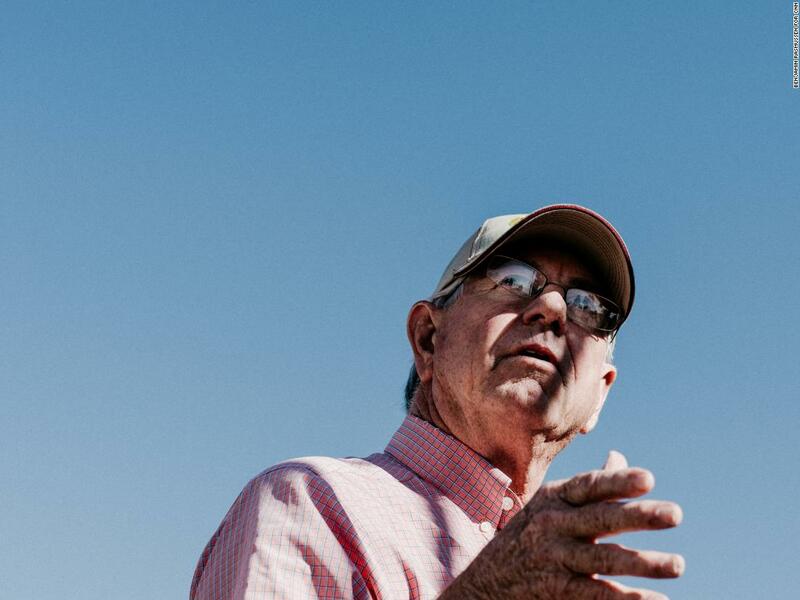 “I don’t think the Chinese have any clue the staying power that the heartland of this country has,” said Alan Townsend, a wheat farmer from northwest Kansas who proudly backed Trump the moment he launched his campaign. Most have lived their entire lives decrying what they see as welfare and believe that Trump’s plan is exactly that. Others were perplexed by how federal funds that won’t come close to making up for their losses would reach their farmsteads. But all acknowledged the federal money propping up the price of soybeans, corn and pork would indirectly help them avoid bankruptcy. A small majority of these farmers said they didn’t plan to punish the President for the trade war at the ballot box in November and even more said they would still vote for him if he were on the ballot himself. But they worry their way of life may not survive for the next generation. 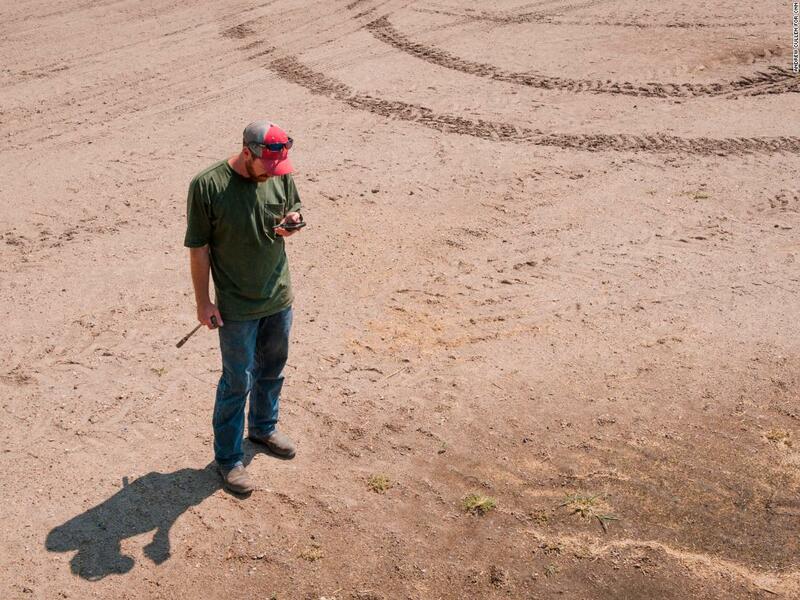 The financial pressures have forced farmers to consider directing their sons and daughters into other businesses, fearing they won’t make it in farming. Families struggle as young people flee to nearby cities shortly after they graduate high school, leaving an aging population behind. And towns grapple with the trend toward larger, more corporate farms as family outfits sell in the face of adversity. What follows is a political portrait of rural America at a time of great uncertainty, just two years removed from an election that some farmers believed would turn the tide for their way of life. Trent Thiele isn’t a fighter. 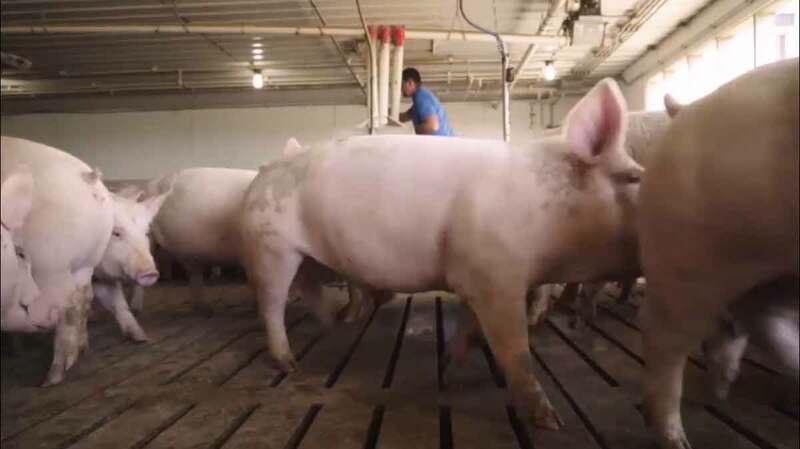 But as tariffs sink pork prices on the roughly 80,000 hogs he sells each year, the hulking pork producer here in northeast Iowa is preparing for a fight. Thiele’s livelihood has become collateral damage in a trade war far bigger than his farm or his family of five. Chinese tariffs on US pork, along with trade disputes with Mexico and Canada, have depressed the hog market, and producers like Thiele say they are now making roughly 33% less per hog they raise. That dip could mean hundreds of thousands of dollars in losses for Thiele this year, and the uncertainty has already forced him to stop an expansion he had planned for this year. Democrats in the state hope the losses under a Republican President will cause some swing voters to tilt toward their party in 2018, where the race to represent Iowa’s 1st Congressional District and a competitive gubernatorial contest have focused on trade. It’s not that simple, though. Farmers, many of whom backed Donald Trump in 2016, believed – and still do – that he has a plan on trade. But their livelihood is on the line and time is running out. This President is the most unique President of my lifetime. To punish a Republican, I don’t think that is a good idea. In the near term, farmers like Thiele said their farms should survive the depressed prices by tightening the family budgets. Many farmers in Iowa remain sympathetic to Trump’s goals, despite the damage that has had on their bottom lines. And some even believe their pain is worth helping other sectors of the American economy like steel and manufacturing. But Thiele’s altruism dissipates when he starts to think about the next generation of American farmers. On the line, Thiele said, is whether his son embraces the 5 a.m. wake-up calls, arduous labor and fear of uncertainty that he has come to relish. The generational handover is what farmers like Thiele fear most. Their belief: If farming’s razor-thin margins shrink, the lifestyle they have enjoyed their entire lives may be forever changed. This cycle could alter the face of places like Elma, Iowa, and further accelerate the decline of the family farmer. There is data to back up these fears. The number of farms, according to the US Department of Agriculture, has steadily declined for decades, while the average size of farms has steadily increased, meaning smaller family farms are being sold off to corporate farmsteads. Trump bested Hillary Clinton in Iowa by over 9 percentage points on the backs of rural voters. The 2016 election was a boon for congressional Republicans, too: All four Republicans in the state’s congressional delegation held their seats. Democrats hope 2018 will be a different story, and they are using trade as a wedge issue to split rural voters from lawmakers like Republican Rep. Rod Blum, who thanked Trump for the trade negotiations at a roundtable with the President earlier this year. Abby Finkenauer, the Democrat running to unseat Blum in Iowa’s 1st Congressional District, has made trade central to her 2018 message. She said Blum’s laudatory comments floored her. The race between Blum, who declined an interview with CNN, and Finkenauer, the 29-year-old daughter of a union worker who is vying to be one of the youngest members of Congress, is the clearest dividing line on trade. CNN rates the race as lean Democratic. Iowa is the largest pork-producing state in the country, with nearly $1.1 billion worth of pork being exported from the state in 2017, according to the Iowa Pork Producers Association. The back roads of Elma and communities throughout Iowa may seem a world away from growing pork markets in China, Canada and Mexico, but the future of pork producing is now directly tied to those international markets. Mexico and Canada are some of the biggest buyers of Iowan pork, and China, whose rising middle class now has the money to feed its growing taste for pork in recent years, has become a burgeoning market for the industry, buying more than $660 million worth of American pork in 2017. That’s big money for the state, meaning Thiele is far from the only pork producer eager for a quick solution to the trade war. Al Wulfekuhle, a farmer with 40 years of experience in the pork producing business, said he worries “every day about making ends meet” and hopes the President understands how time is of the essence when it comes to addressing trade issues. Wulfekuhle, who sells around 40,000 hogs a year over a dozen different sites around Quasqueton, Iowa, said farmers are willing to give Trump a little leeway on trade negotiations but warned that the impact the negotiations have on future prices could change that sentiment quickly. 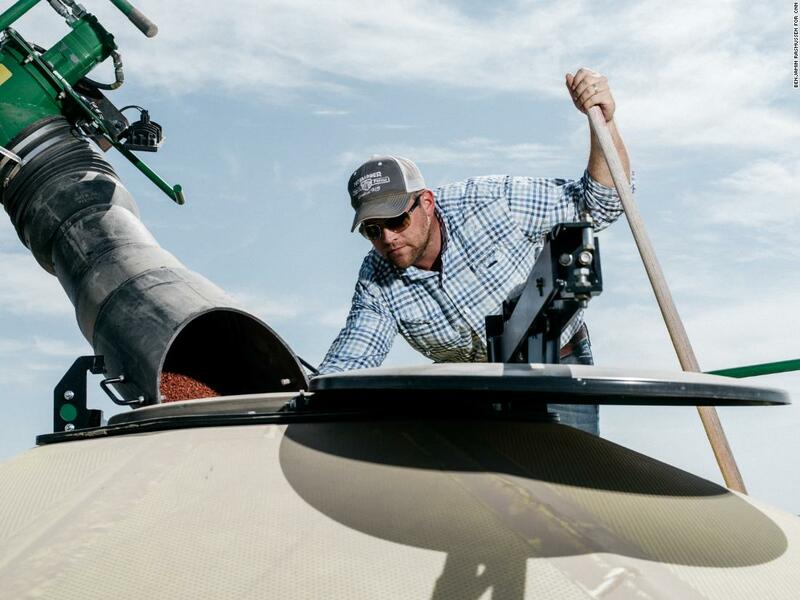 Timing is of the essence on the windswept plains of North Dakota: Soybeans are harvested in the fall, meaning growers are now taking stock of how tariffs will affect their crop weeks before the 2018 elections. North Dakota – the fourth-largest state in soybean acres planted and harvested, according to the North Dakota Soybean Council – is particularly relevant in the fight over trade because of Sen. Heidi Heitkamp’s battle to keep her seat in a state President Donald Trump won by more than 36 percentage points in 2016. Rep. Kevin Cramer is challenging Heitkamp by tying himself to the President, a strategy complicated by the fact that Trump’s trade actions are straining each farm’s bottom line. 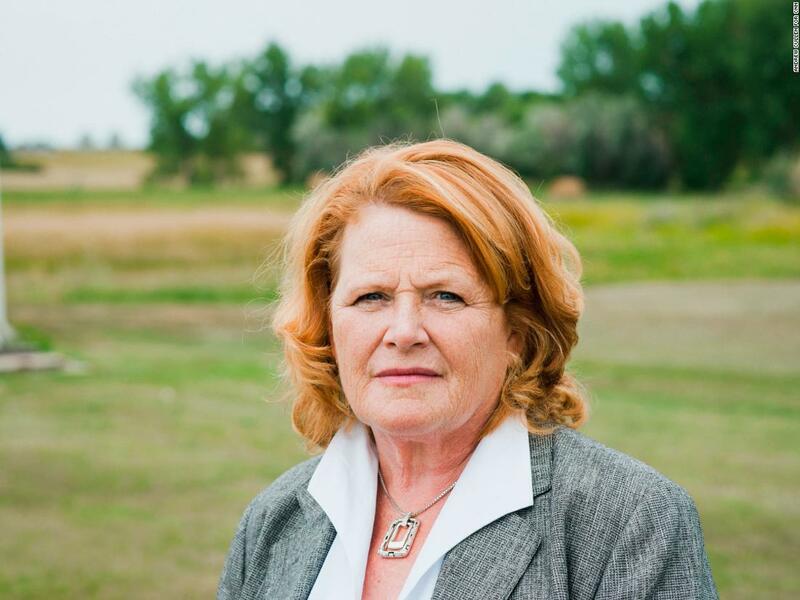 Heitkamp is now considered the most vulnerable Democratic senator in the country, with Cramer seen as the favorite in the race. The trade fight is particularly relevant in North Dakota because of its proximity to the Pacific Northwest: While roughly a third of all soybeans harvested in the United States end up in China, the ratio is even higher in North Dakota because its train lines head to Asian-focused ports on the Pacific and buyers in Indonesia, Taiwan and, most importantly, China. The uncertainty in the Chinese market has crushed the soybean price, which hit a 10-year low earlier this year. Prices have continued to dip, and soybean growers across North Dakota are facing six-figure losses if the market doesn’t rebound by the time they harvest later this year, causing some growers to reconsider their support for Trump and other Republicans ahead of the 2018 midterms. The longer soybean prices sink, the more difficult it is for farmers to lock in profitable prices for their haul. 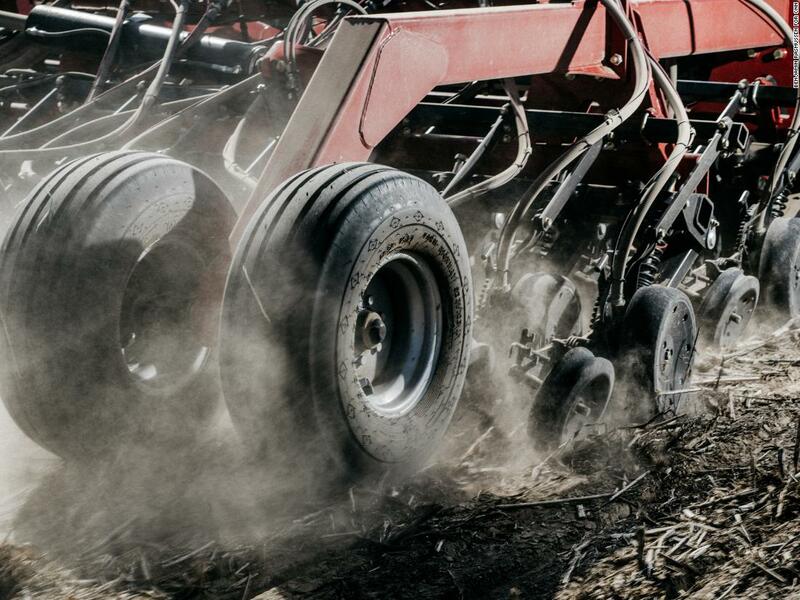 This hurts not only their farms, but also a whole host of industries – grain elevators, local hardware stores, oil and gas suppliers – that are directly affected by the success or failure of farmers. And their concern is that if trade disputes drag on, China will begin looking toward South American countries like Brazil for a more stable supply of soybeans. There is also a timing problem for Republicans in the state: Every grower CNN interviewed said their view would darken if the prices stayed low during the harvest season. My big picture is if China is not buying more beans than they were before, then it is not helping us. Peterson voted for Trump in 2016, and he paused when asked if he regrets it. Craig Olson, a multi-generational grower in Colfax, was less conflicted. The Republican voter, who said he plans to vote for Cramer in November, said he still supports the President and is prepared to give him considerable leeway in a trade war, even if it impacts his bottom line. Justin Sherlock, the mayor of 90-person Dazey, North Dakota, didn’t vote for Trump. He now stands firmer in that view given the burgeoning trade war. Sherlock is in the minority. And he knows it. But the small-town mayor said in private moments he is starting to hear Trump supporters worry about his presidency and compare him to former President Jimmy Carter, whose grain embargo of the Soviet Union in 1980 caused the wheat market to tank. Can soybeans save a senator? Running as a Democrat in North Dakota months after Trump swept the state is a difficult proposition, forcing Heitkamp to be cautious about how – and when – she criticizes the President. And trade is no different: Heitkamp has been upfront and outspoken about her opposition to Trump’s trade practices and made her disagreement central to her campaign. But the senator has taken a more guarded position on the Trump administration’s aid package to farmers – much of which has been set aside for soybeans – and hasn’t targeted the President with the same animosity she has saved for Cramer. Cramer, who declined to be interviewed for this story, has stood by the President throughout his Senate run, even while he has acknowledged some frustration on behalf of growers in North Dakota. The congressman has called on his supporters to back Trump’s efforts to alter trade with China and touted the fact that the President has visited North Dakota to help his campaign. 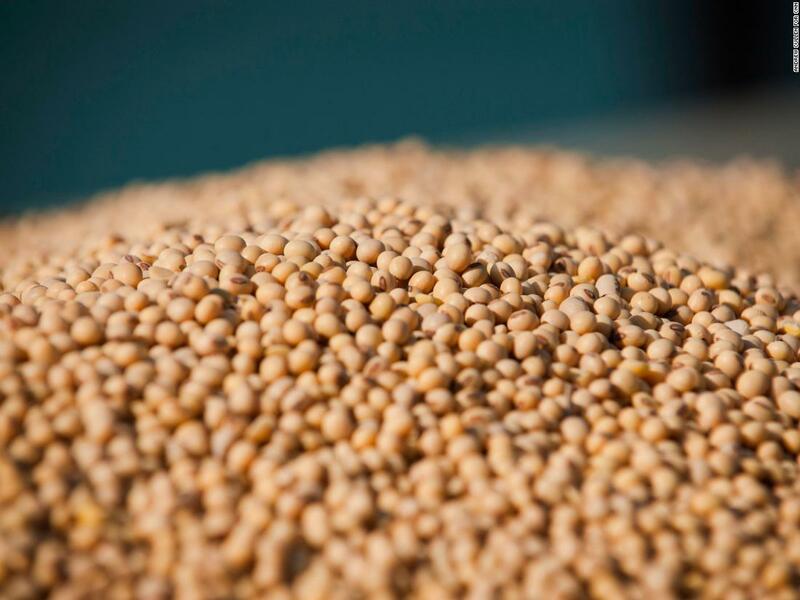 Eugene Graner, a commodities trader and Cramer campaign surrogate, took issue with criticism of Trump on trade, arguing that the historically low soybean prices are only cyclical fluctuations, not a sign of long-term damage. His argument: Trump’s trade negotiations would lead to a better trade environment for farmers and could, eventually, boost their sales to places like China and Southeast Asia. Not all Republicans agree. The powerful Koch network of conservative groups said earlier this year that they wouldn’t back Cramer with much-needed money because of his trade positions. Heitkamp, who is usually measured in response to political questions, sighed deeply when asked about Graner’s comments. That is an ignorant, ignorant statement and it totally ignores that these are people who put hundreds of thousands of dollars at risk every year and they bet on the weather and they bet on commodity prices, but they don’t bet on bad trade policy. Wisconsin isn’t known as America’s Dairyland for nothing. Get a little elevation over the cheese factory where Sartori Co. produces award-winning cheese and the state’s nickname becomes clear: Dairy farms dot the surrounding hills, their white-topped barns a sign that milk from hundreds of cows will soon be turned into an array of dairy products, some that end up on shelves as far away as Southeast Asia. 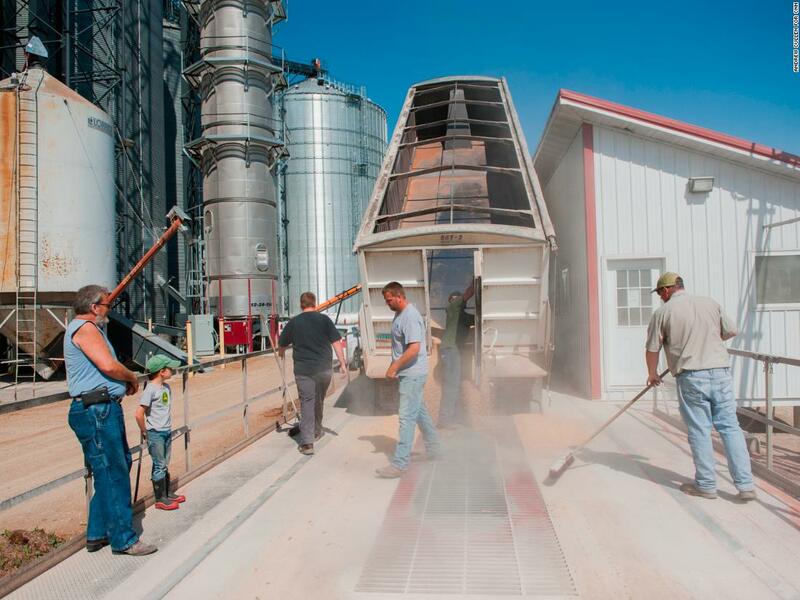 Sartori, run by Jeff Schwager, is at the center of an interconnected web of dairy farmers who anchor the economy of small towns like Plymouth in the eastern part of the state. Sartori employs roughly 550 people and buys milk from 130 family farms within 75 miles of its two rural production facilities. In turn, those employees and farmers spend money from Sartori in the community, helping to keep banks, shops and restaurants employing thousands more people in the surrounding area. It’s a delicate cycle that has led Plymouth and its vibrant main street to prosper. But as dairy producers and cheese makers face crippling tariffs and trade issues – some caused by President Donald Trump’s trade rhetoric and others by issues that predate the Republican leader – there is a sense that a downturn in the dairy market could mean a downturn for small towns like Plymouth. With Republican Scott Walker running for a third term as governor, trade has become a political flashpoint. Democratic candidate Tony Evers is faulting Trump for the economic pain and slamming Walker for not standing up to the President when the initial round of tariffs was announced. Dairy has been a central product in the ongoing trade dispute between Trump and countries like China, Mexico and Canada – three markets that make up over 46% of all dairy exports from Wisconsin, according to the Dairy Farmers of Wisconsin. Some long-term concerns were assuaged when, in early October, the Trump administration and negotiators from Mexico and Canada agreed on updates to NAFTA called the USMCA. Under the original trade deal, Canada limited how much US milk, cheese and other dairy could flow into the country, but under the updated agreement, Canada will increase market access for US dairy, poultry and eggs. In the short term, though, cheese producers wonder if the bluster was worth it. They continue to worry there is no end in sight with China, and questions remain about how welcome markets in Canada and Mexico will be. What was a profitable business for us is now not profitable, maybe break even at best, and it is a matter of how long can you go on doing that. For Sartori, which sells its cheese in 49 countries, issues with just one trading partner can mean significant losses. According to Schwager, the company stands to lose $1 million this year if the current trade situation with Mexico continues. Democrats across the country are hoping that trade rhetoric and economic uncertainty in industries like dairy could hurt Republicans at the ballot box. In Wisconsin, though, it appears that these rural voters aren’t prepared to blame the President for the uncertainty they dread. Trump unexpectedly won the state by less than 1 percentage point in 2016 and it appears that many of those men and women are still with him. But Walker does not seem to be benefiting. Recent polling has shown Evers, the superintendent of public schools in the state, is leading the two-term governor, giving Democrats possibly the best chance to oust the Republican, who ran for President in 2016. Dean Strauss, the managing partner of his family’s 900-cow farm, wouldn’t disclose who he voted for in 2016, but he defended the President’s trade actions, despite the fact that they have taken a bite out of his bottom line. He also added that “there are things that obviously had to be done” about trade and that while “uncertainty creates anxiety,” dairy farmers should give the President time to fix the issues. Schwager was equally measured when it comes to Trump. People in Sheboygan County, an area that backed the President in 2016, believe their product was targeted because of that support for him. But for Strauss, the reason is more elemental than that. Strauss lives by the old adage in Wisconsin: You can’t turn off the cows. So he turned to tech. In an effort to be on the cutting edge and maintain a more agreeable lifestyle, Strauss invested nearly $2 million in robots that automatically milk his cows for him using a long robotic arm and lasers to target the animals’ udders. It’s a large upfront cost that Strauss hopes pays dividends in the years to come. But with milk prices taking a dive in the face of market uncertainty, Strauss is looking for a way to lock in even small profits to help protect his family’s business. Strauss, like other dairy producers, is in a precarious position. His product will come whether prices improve or not, meaning some producers are worried there could soon be an overproduction issue if prices slow cheese sales. Earlier this year there were fears of having to use milk as fertilizer, but those concerns have been assuaged and producers are now strictly looking to protect their bottom line. Strauss and Sartori are inextricably tied together. Every gallon of milk that comes from Strauss’ cows is sold directly to the cheese maker, and turned into one of its stable of flagship products. That means when Sartori is struggling, Strauss is feeling the pain, too. Strauss, a sixth-generation dairy farmer whose family has been milking cows for over 166 years, knows that the situation is also bigger than his personal experience, especially because over 85% of his expenses are incurred within a 30-mile radius of his farm. 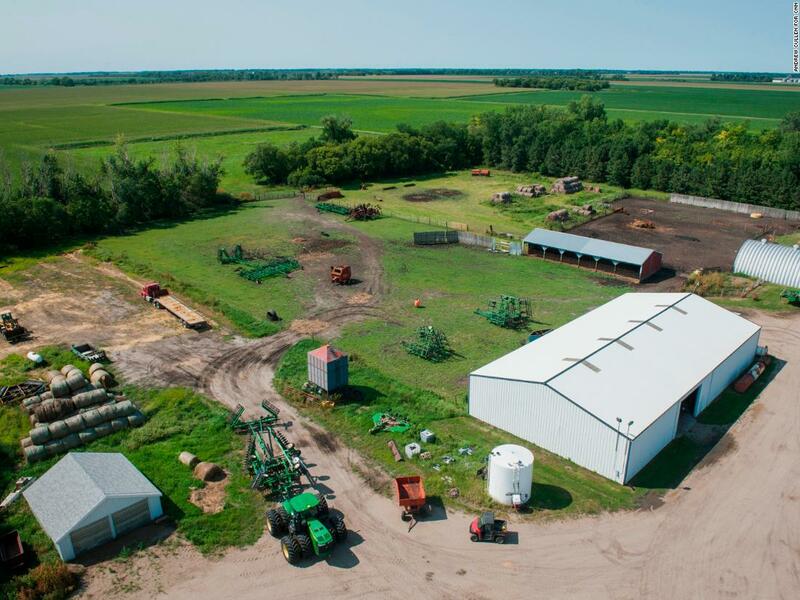 When Alan Townsend moved back home to begin farming in 1974, there were 17 of his great-grandfather’s descendants farming within a roughly 3-mile stretch of his homestead. Today, he’s the only one left. That resolve is now being tested here in northwest Kansas, where the conservative roots run as deep as the rich soil. For now, the area’s ties to President Donald Trump remain strong. Many of the growers of hard winter wheat not only believe Trump is the right man to strike an international trade deal but also feel that the pain they may be suffering is worth it for the President to mint the better trade agreements he has long promised. Their patience is not endless, and they expect to see more action soon. 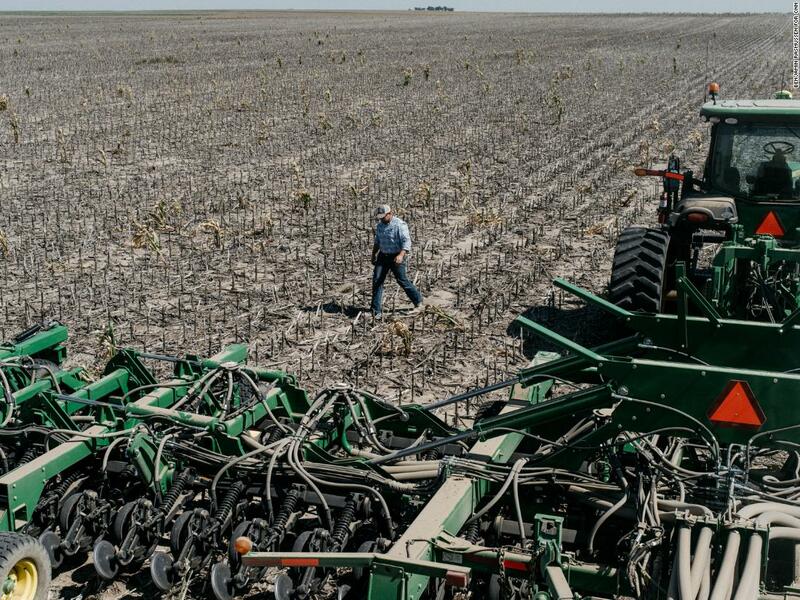 But for a group of people who pride themselves on making a living off the arid land in Sherman County, Trump’s trade war and the corresponding tariffs have become a referendum on the toughness of rural America. “I don’t think the Chinese have a clue,” said Townsend confidently, leaning over the table at Crazy R's Bar & Grill. Republicans, including Trump, are counting on that sentiment as the rising tariffs dry up markets for American wheat, corn and soybeans across the globe. International wheat sales, according to the US Wheat Associates, are down across the board. 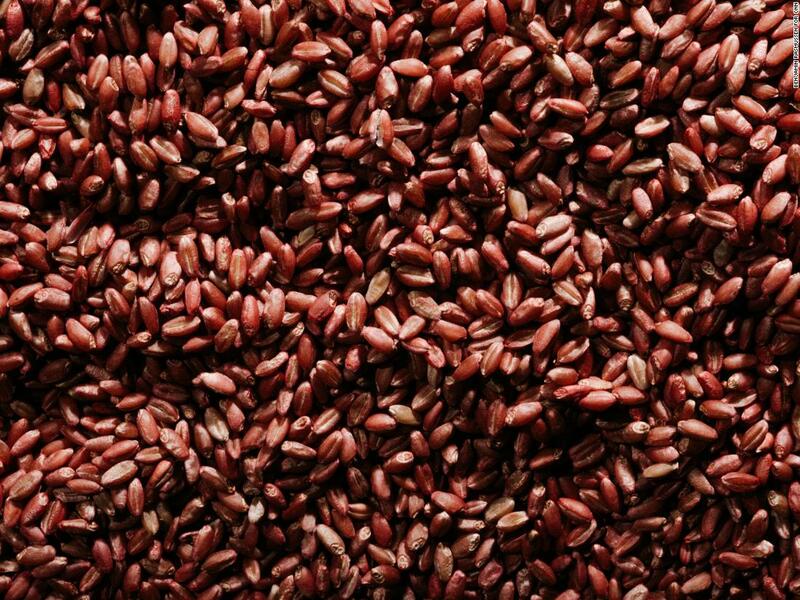 At this point last year, China had bought over 720,000 metric tons of American wheat. Today, that number is zero. 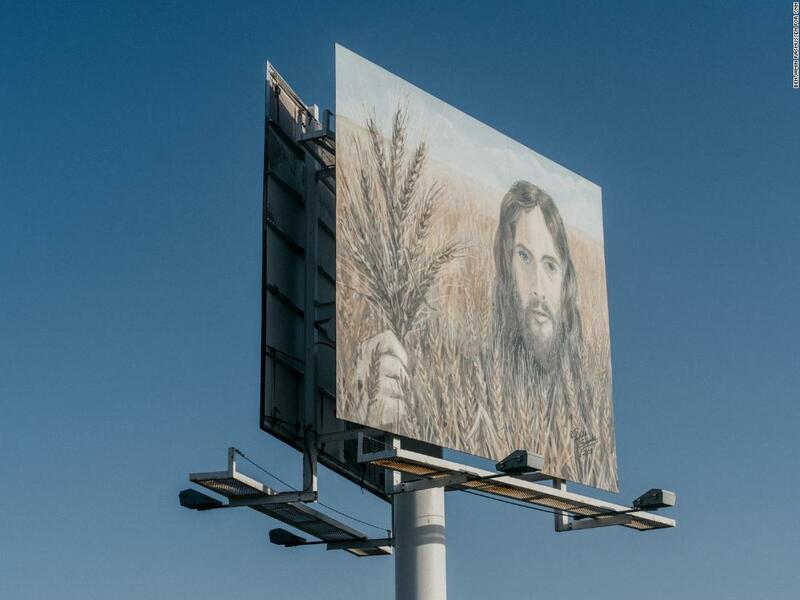 It’s a similar story in Mexico, where wheat sales are down 27%. 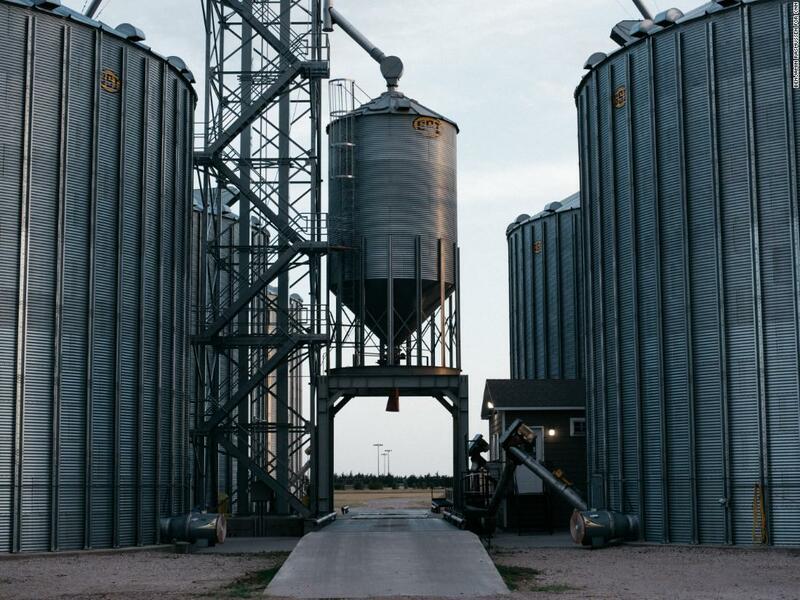 The issue is particularly problematic for Kansas, where 50% of all wheat grown is exported. That fact, along with farming’s already razor-thin margins, has caused some of the area’s growers to speculate that upward of 15% of the region’s farmers – primarily smaller growers – could be forced to sell out. Politically, Republicans surprisingly have a fight on their hands in the reliably red state. Secretary of State Kris Kobach, a firebrand conservative who is closely tied with Trump, is running in a close race for governor against Democrat Laura Kelly, who has said Republicans in the state need to be held “accountable” for the trade war. Kansas is also consequential in the fight for the House, where two races in the eastern part of the state are considered toss-ups. In a sign of where the contests may be headed, Republicans in Washington see Rep. Kevin Yoder as particularly endangered – so much so that the National Republican Congressional Committee cut off support for the incumbent lawmaker. Here in rural America there is still the idea that you can work hard and have a good life. That may not be true, but people still believe it. The atmosphere certainly worries Townsend, who watches wheat prices and the state of his land like a hawk with his 27-year-old son, Ross. But when he looks for someone to blame, the culprit cannot be found at 1600 Pennsylvania Ave.
It’s planting time in Goodland, so tractors followed by looming clouds of brown, powdery soil dot the horizon for miles. The growers operating those tractors are used to uncertainty – farming is an exercise in faith – but this year the feeling is different. Linin, the tall, sociable mayor of Goodland, a roughly 4,500-person town near the Kansas-Colorado border, was such a strong Trump supporter in 2016 that he traveled to Washington, DC, to celebrate the President’s inauguration with a few friends. Reflecting on that support, though, Linin acknowledged that respect for Trump in Goodland has colored how farmers here view the trade war. But Linin, who is active in Kansas’ wheat trade association, isn’t close to leaving the President over the spat. Brent Linin, Brian’s father, is just as deep a Trump supporter. He has been farming land around Goodland for 49 years and he laughs at the idea of retiring. He voted for Trump in 2016 and proudly stands by that vote. 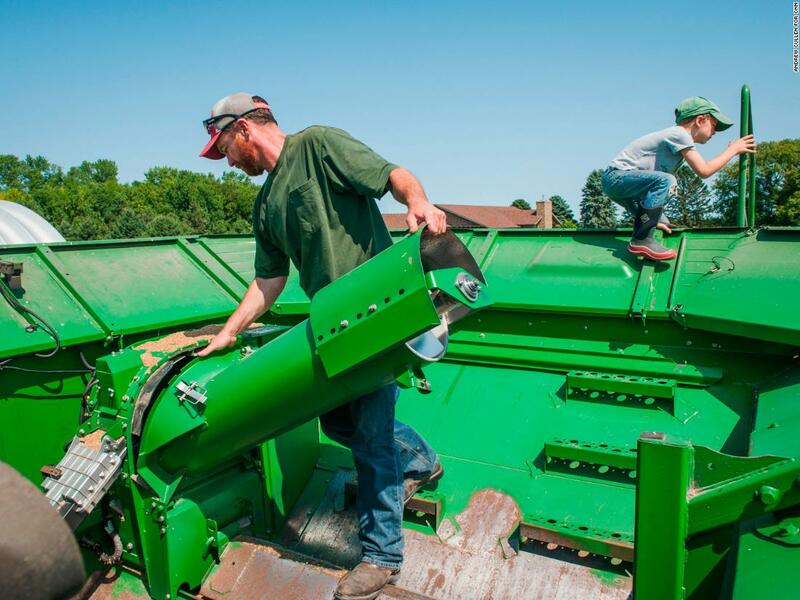 People like Brent Linin and Alan Townsend are some of the lucky few who have seen their kids move back to help on the farm, a reversal of a nagging problem in rural America, where most young people leave the homestead and never come back. 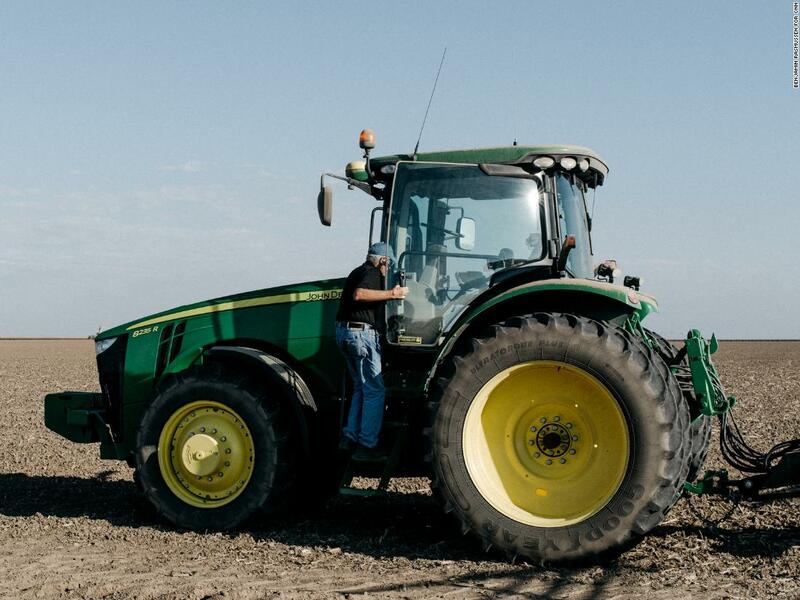 Farming is not for the faint of heart, and the charms of Denver and Kansas City, along with steady, less backbreaking work, draw many who graduate from Goodland High School. Much to the chagrin of people like Townsend and the Linins, Goodland has been shrinking since the 1980s. John Mosbarger is not one of those who fled. Not only did the attentive 30-year-old graduate of Kansas State University come back home from Manhattan, Kansas, to help run his family’s sprawling 32,000-acre farm, but he convinced his wife, Lora, who was raised in Kansas City, to come back with him. Mosbarger – who said his initial reaction to the tariffs was that farmers needed to “buckle up” – described the tariffs as just another layer of risk in an increasingly risky business: Farmers can’t control the weather, they can’t control their prices and now they can’t control the tariffs, he said. And all of that could have an impact on his family’s bottom line. According to Mosbarger, his family loses $200,000 every time wheat loses 10 cents on the market. After CNN published this story, Mosbarger said a $200,000 move to his bottom line is actually the effect of a $0.10 move in the corn market, and a $0.40 move in the wheat market would be needed for his family to lose that amount, given they produce nearly 2 million bushels of corn and half a million bushels of wheat on their farm. “It can do that in a day,” he said. Even still, the young farmer was upbeat when talking about his future. Like his neighbors, Mosbarger said he respects the President and believes Trump could strike a deal that benefits his young family. But when asked what he would tell the President about his operation if he were in the office, Mosbarger laughed and struggled to find an answer. California may have branded itself as the home of the resistance to President Donald Trump, but its center – where the bulk of its trademark oranges are grown – is a deep red valley. Of the 14 Republicans Californians sent to Congress in 2016, five represent some part of the San Joaquin Valley. It’s the agricultural red core – where California’s $800 million orange industry is anchored – that is being directly threatened by the trade war. Weeks away from the midterm elections, Trump’s standing in the state is more than just a political problem for the President. His party is defending congressional districts throughout the central valley, with Democrats looking to capitalize on anti-Trump sentiment and trade fears to flip seats represented by powerful Republican incumbents. For Tom and Guy Wollenman, cousins whose family has grown oranges in California for 99 years, the threat of tighter profit margins is also a direct threat to Republicans’ control of the area. “It has dented his popularity,” Tom Wollenman said matter-of-factly about Trump in the central valley. It will be his Achilles’ heel. He is less popular in the area than he was two years ago. The Wollenmans are both registered Republicans, but neither voted for Trump or Hillary Clinton in 2016. Tom wrote in a congressman, who he declined to name, while Guy wrote in Ben Carson, Trump’s secretary of housing and urban development and a conservative icon, who had dropped out of the presidential primary race before California voted. Both Tom and Guy are hopeful that Trump, a man they didn’t back, will be able to turn the trade debate around. But they are deeply worried. Guy said that growers earlier this year had watched the back and forth with China, comparing it to a bouncing ball, and worried that the citrus industry would be ensnared. For now, though, that pain does not appear to be translating into ballot box success for Democrats. If these tariffs continue in place… we could probably lose up to $2,000 an acre. That is just profit. Republican Rep. Devin Nunes, a lawmaker inextricably tied to Trump, is facing a challenge from Democrat Andrew Janz, a prosecutor, in California’s 22nd Congressional District. North of Nunes, Republican Rep. David Valadao is battling Democratic businessman TJ Cox in the state’s 21st Congressional District, and even further north, Democrat Josh Harder is challenging Republican Rep. Jeff Denham. Two of the districts – Nunes’ and Valadao’s – are likely to stay in Republican control. Denham’s race, due to Harder’s sizable fundraising advantage, is rated a toss-up. Republicans look like they are in control of all races in California’s Central Valley, but in an area that centers on the agriculture economy, Republicans in California and nationally are aware that slumps in orange and nut prices could threaten otherwise safe incumbents and, to a degree, Republican control of the House. A study from the University of California Davis published in August found that orange growers could lose upward of $133 million off their total revenue due to a decline in US prices. That figure is anecdotally backed up by the Wollenmans. The man tasked with conveying the concerns of California orange growers to Washington is Joel Nelsen, the president of California Citrus Mutual, the industry’s trade association. Nelsen said there has been continual “angst” among orange growers. First, it was the scuttling of the proposed Trans-Pacific Partnership, he said, a sweeping multinational trade deal that Trump rejected early in his administration. Farmers were hoping the pact would open markets in Japan and throughout Asia. Then came the dispute with Canada, the primary international market for California oranges, over the North American Free Trade Agreement. And, finally, came the deepening conflict with China, a growing market for California citrus. In response to that demand, growers in California had even begun to tailor their trees to the Chinese market. After Chinese traders visited the Central Valley and asked for alterations, farmers began cutting away the lowest branches to comport with the country’s standards. Those changes were made, farmers said, with the expectation that the Chinese market would not only continue growing but also could become central to the orange industry in California. “We spend a lot of extra money solely because we want to access that market,” Guy Wollenman said. And that is good news for local Republicans, he added.